CHGC President, Geoff Bell welcomed Garden Clubs of Australia representatives to the GCA Mid North Coast Zone Day held in the Cavanbah Centre, Coffs Harbour on 16 August. GCA Senior Vice President, George Hoad and Mid North Coast Zone Co-Ordinator, Keryn Rodham attended. 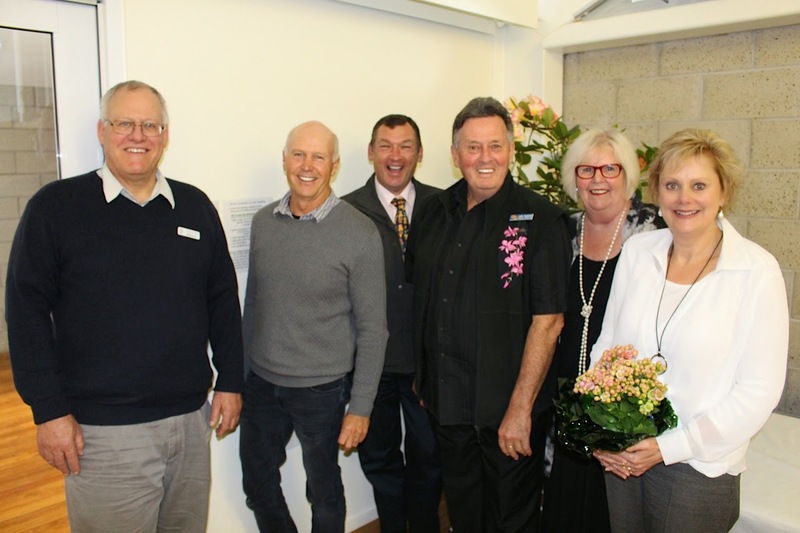 National Zone Co-Ordinator, Glenys Bruun was unable to attend; however her brother John McGrath, President of the Nambour Garden Club came in her stead. Neil Puddey, local Woolgoolga Vireya grower and Elizabeth Swane both gave very interesting and informative presentations. Local florist Di Patterson put together some stunning floral arrangements - so effortlessly while keeping up a constant stream of conversation. There will be more to come on the Zone Day over the next week.